All the Volume #1 articles have been relocated to this blog, and hopefully, the links are all working. Yesterday, Vol 1 #5 and Vol #1 #6 were finished. 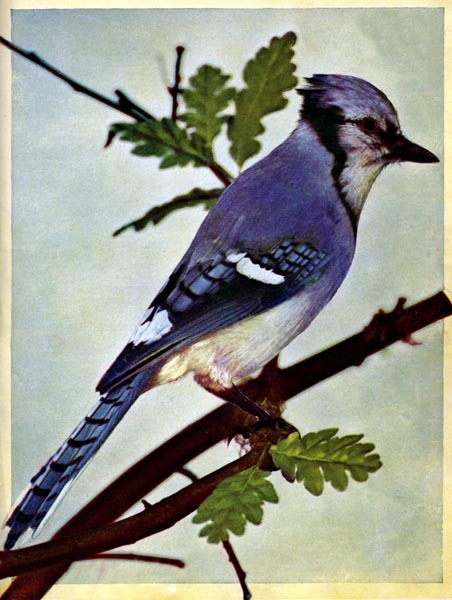 The author of this series provided an Index of the first 6 volumes in alphabetical order by the last name of the bird. Enjoy checking out the latest updated articles, especially Volumes 1 #5 and 1 #6. There really are some interesting birds in these volumes also. It takes time to update the links to articles and photos. In six years time, websites and blogs come and go. I would rather the articles be accurate as to just put them up as fast as I can. Besides that, the twenty plus posts will take time to read. The American Cross Bill and The Legend article is quite interesting. Also, the Amateur Photography post shows some older camera information with links to more photography topics. 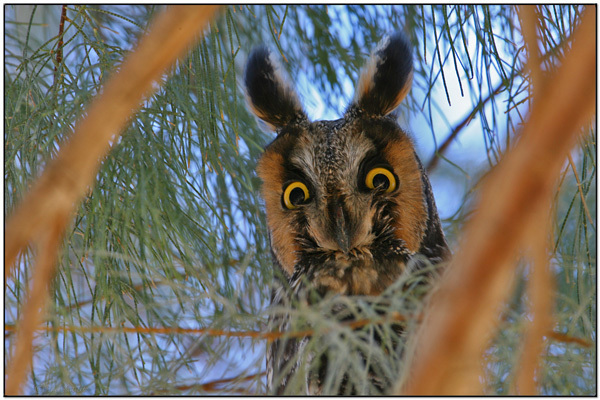 Northern Long-eared Owl by DavesBP – Not the one mentioned in the article. But I think this owl is COOL! 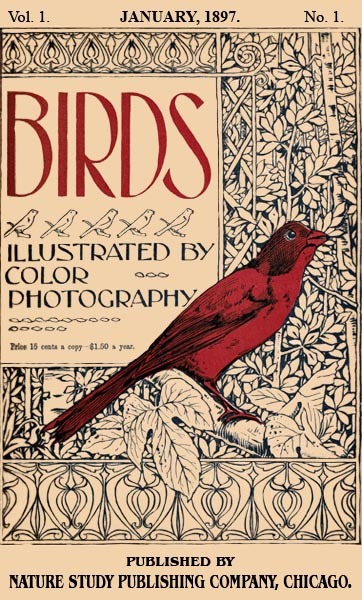 Volume 1, Number 2 of the Birds, Illustrated by Color Photography is re-activated and trust all the links are working correctly. So far as I know, the following articles are active and the links should be working. When this series was first introduced back in 2011, they were a delight to work on. 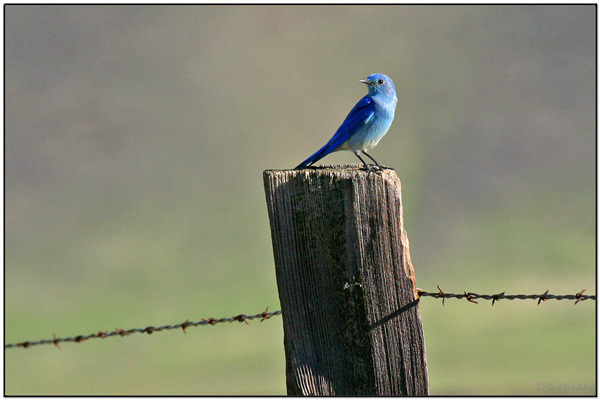 As these have been brought back over here to the Birds of the Bible for Kids blog, again, I have enjoyed re-reading many of them. Many like me, may have forgotten what was in them. Some of you have never read these. There are many more that will be released as soon as I [try to] get the links correct. This is part of re-opening the Kids Blog. 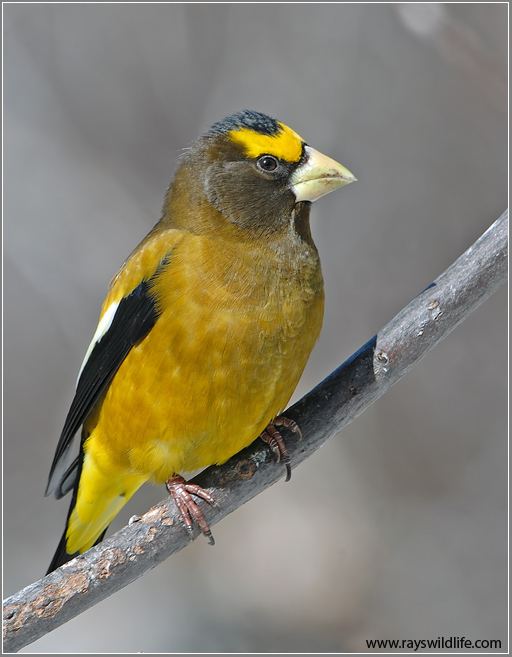 Enjoy reading about some great birds from our Creator. VOLUME II. JULY TO DECEMBER, 1897.
chicago colortype co. Nature Study Pub. Co., 1897, Chicago. I am often heard, but seldom seen. If I were a little boy or a little girl, grown people would tell me I should be seen and not heard. That’s the difference between you and a bird like me, you see. It would repay you to make my acquaintance. I am such a jolly bird. Sometimes I get all the dogs in my neighborhood howling by whistling just like their masters. Another time I mew like a cat, then again I give some soft sweet notes different from those of any bird you ever heard. In the spring, when my mate and I begin house-keeping, I do some very funny things, like the clown in a circus. I feel so happy that I go up a tree branch by branch, by short flights and jumps, till I get to the very top. Then I launch myself in the air, as a boy dives when he goes swimming, and you would laugh to see me flirting my tail, and dangling my legs, coming down into the thicket by odd jerks and motions. It really is so funny that I burst out laughing myself, saying, chatter-chatter, chat-chat-chat-chat! I change my tune sometimes, and it sounds like who who, and tea-boy. You must be cautious though, if you want to see me go through my performance. Even when I am doing those funny things in the air I have an eye out for my enemies. Should I see you I would hide myself in the bushes and as long as you were in sight I would be angry and say chut, chut! as cross as could be. Have I any other name? 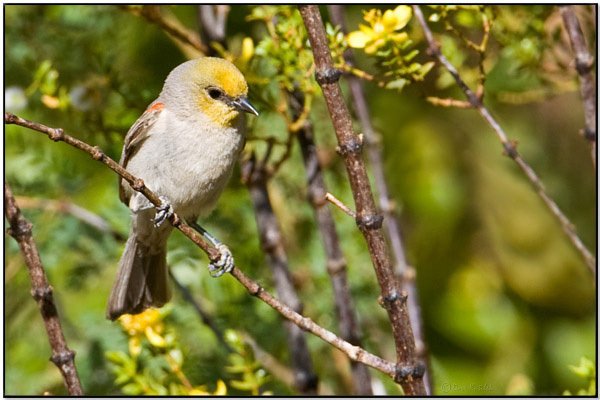 Yes, I am called the Yellow Mockingbird. But that name belongs to another. His picture was in the June number of Birds, so you know something about him. They say I imitate other birds as he does. But I do more than that. I can throw my voice in one place, while I am in another. It is a great trick, and I get lots of sport out of it. Do you know what that trick is called? If not, ask your papa. It is such a long word I am afraid to use it. Oh, yes, I am coming to that. I arrive in this country about May 1, and leave for the south in the winter. My nest is nothing to boast of; rather big, made of leaves, bark, and dead twigs, and lined with fine grasses and fibrous roots. 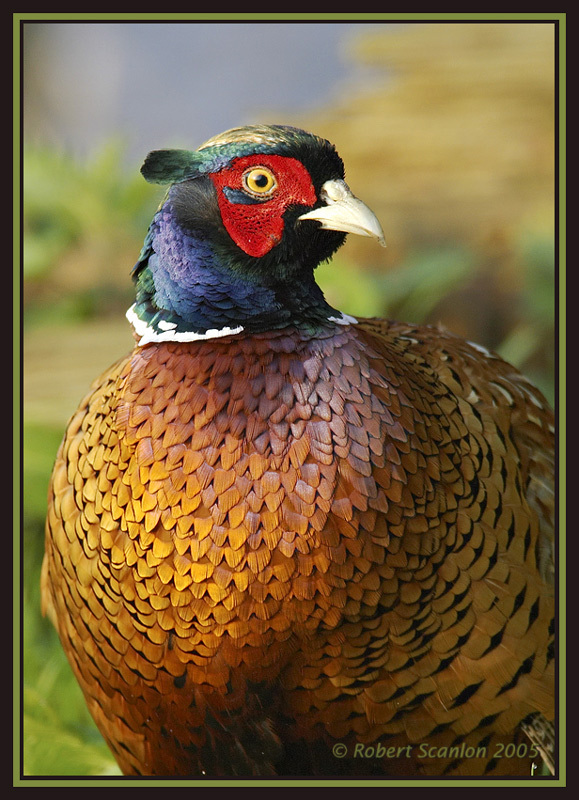 My mate lays eggs, white in color, and our little ones are, like their papa, very handsome. 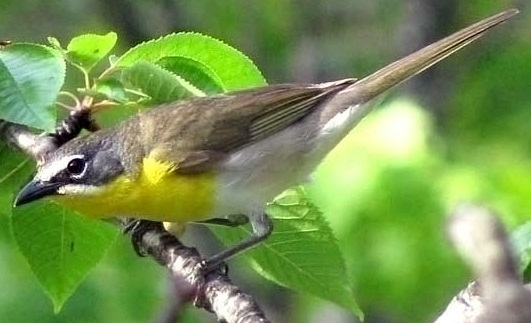 COMMON name for this bird, the largest of the warblers, is the Yellow Mockingbird. 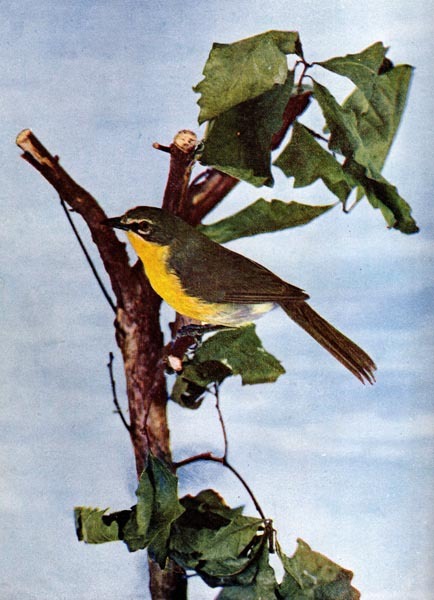 It is found in the eastern United States, north to the Connecticut Valley and Great Lakes; west to the border of the Great Plains; and in winter in eastern Mexico and Guatemala. It frequents the borders of thickets, briar patches, or wherever there is a low, dense growth of bushes—the thornier and more impenetrable the better. By many observers this bird is dubbed clown or harlequin, so peculiar are his antics or somersaults in the air; and by others “mischief maker,” because of his ventriloquistic and imitating powers, and the variety of his notes. 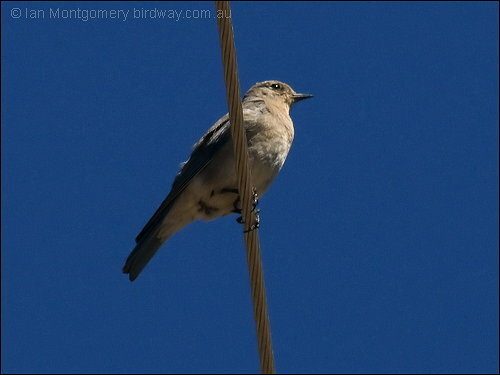 In the latter direction he is surpassed only by the Mockingbird. 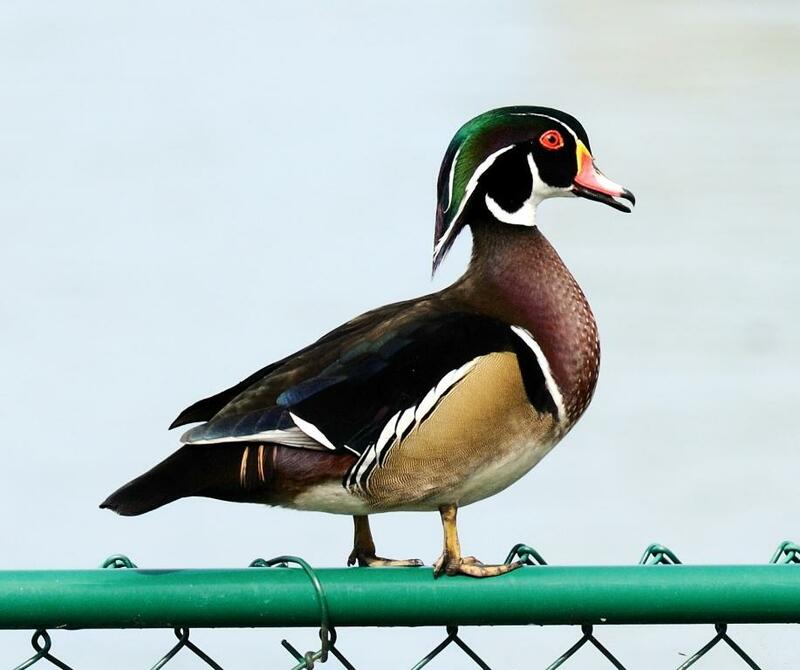 The mewing of a cat, the barking of a dog, and the whistling sound produced by a Duck’s wings when flying, though much louder, are common imitations with him. 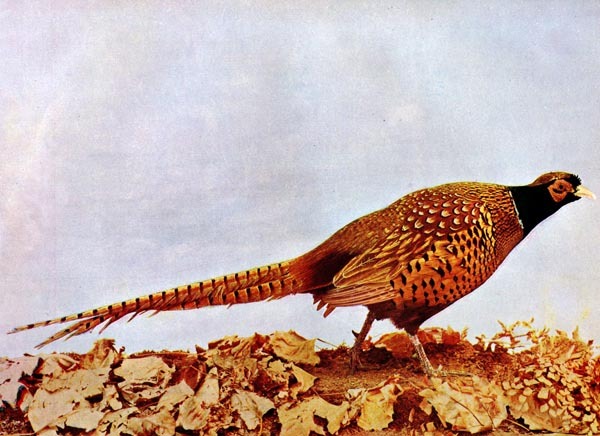 The last can be perfectly imitated by a good whistler, bringing the bird instantly to the spot, where he will dodge in and out among the bushes, uttering, if the whistling be repeated, a deep toned emphatic tac, or hollow, resonant meow. 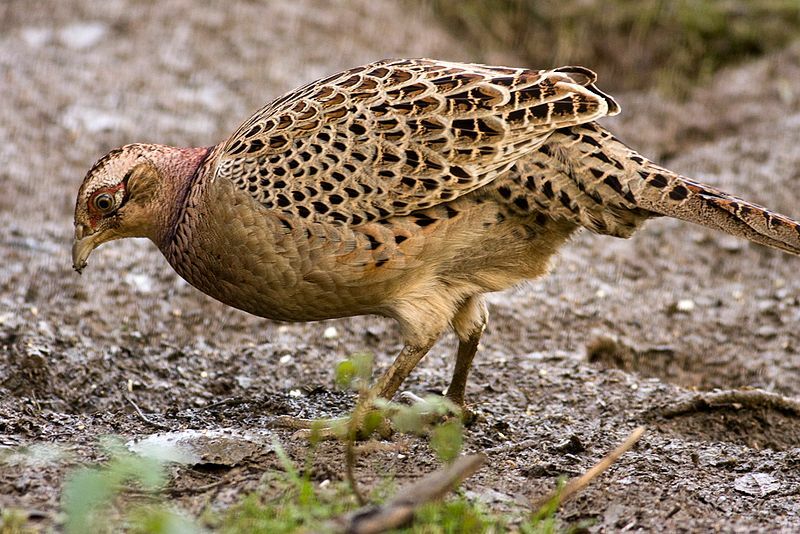 In the mating season he is the noisiest bird in the woods. 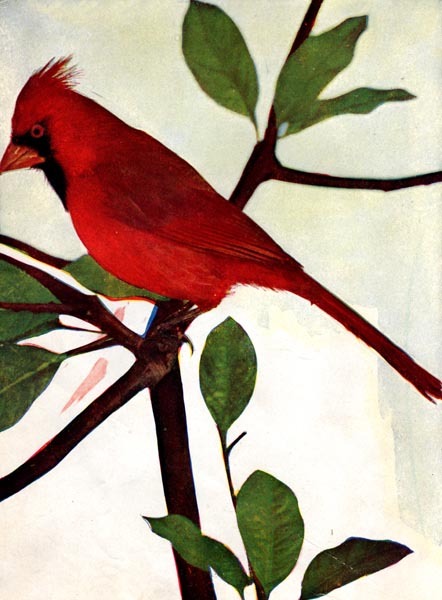 At this time he may be observed in his wonderful aerial evolutions, dangling his legs and flirting his tail, singing vociferously the while—a sweet song different from all his jests and jeers—and descending by odd jerks to the thicket. After a few weeks he abandons these clown-like maneuvers and becomes a shy, suspicious haunter of the depths of the thicket, contenting himself in taunting, teasing, and misleading, by his variety of calls, any bird, beast, or human creature within hearing. 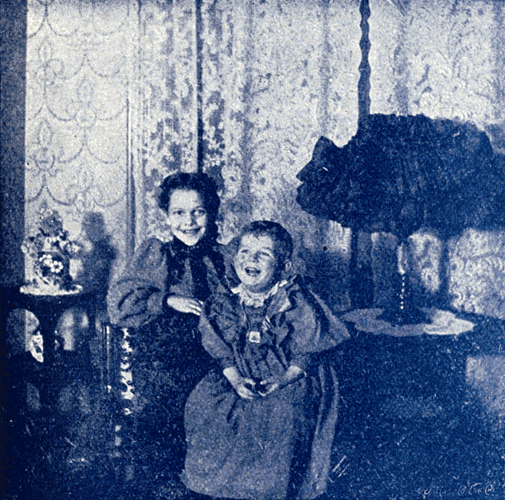 All these notes are uttered with vehemence, and with such strange and various modulations as to appear near or distant, in the manner of a ventriloquist. In mild weather, during moonlight nights, his notes are heard regularly, as though the performer were disputing with the echoes of his own voice. 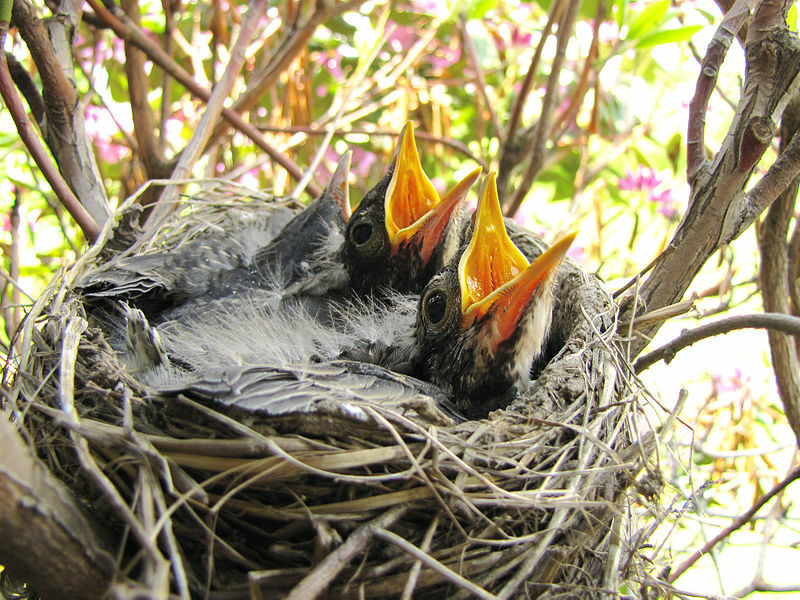 The nest of the Chat is built in a thicket, usually in a thorny bush or thick vine five feet above the ground. It is bulky, composed exteriorly of dry leaves, strips of loose grape vine bark, and similar materials, and lined with fine grasses and fibrous roots. The eggs are three to five in number, glossy white, thickly spotted with various shades of rich, reddish brown and lilac; some specimens however have a greenish tinge, and others a pale pink. Range—Eastern United States to the Great Plains, north to Ontario and southern New England; south in winter through eastern Mexico to Northern Central America. 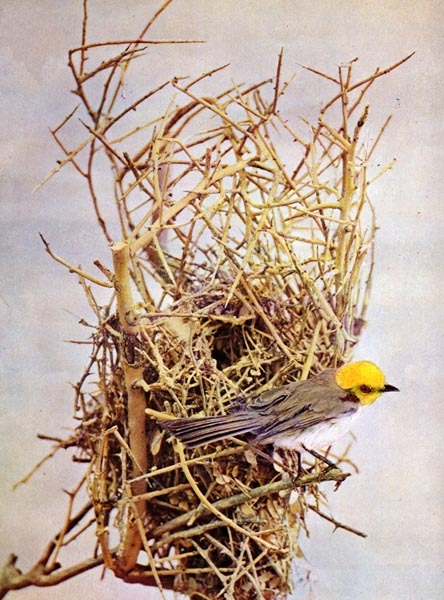 Nest—In briar thickets from two to five feet up, of withered leaves, dry grasses, strips of bark, lined with finer grasses. Eggs—Three or four, white, with a glossy surface. 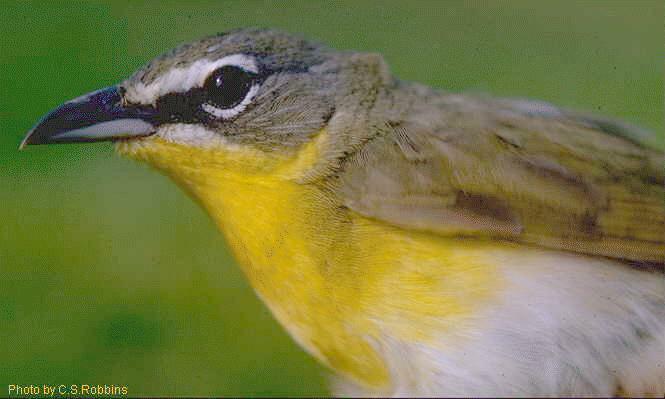 The Yellow-breasted Chat (Icteria virens) is a large songbird in the Muscicapidae – Chats, Old World Flycatchers Family. They are one of 313 members of that family. Another one of the Lord’s beautiful creatures. I haven’t seen that many, but they would sure be a delight to see. 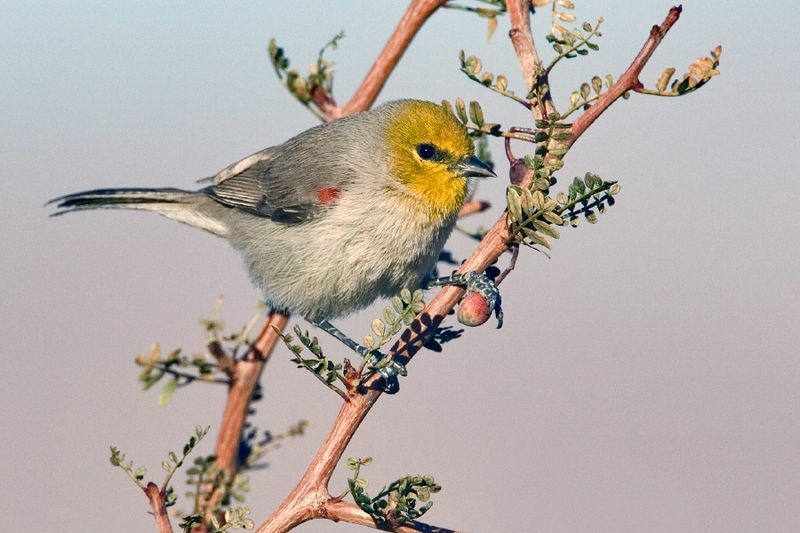 The song of this bird is an odd, variable mixture of cackles, clucks, whistles and hoots. Their calls are harsh chak’s. 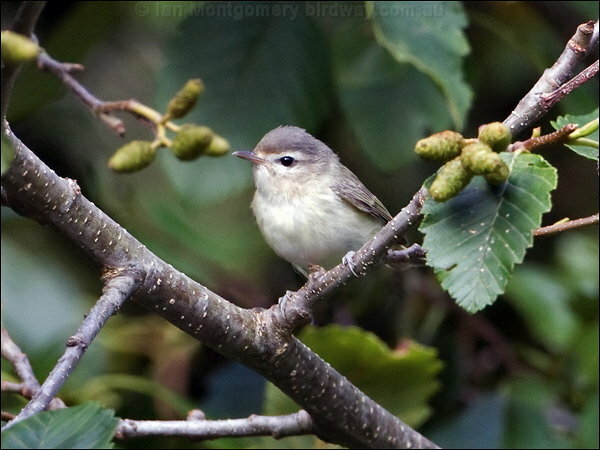 Unlike most warblers, this species has been known to mimic the calls of other birds. 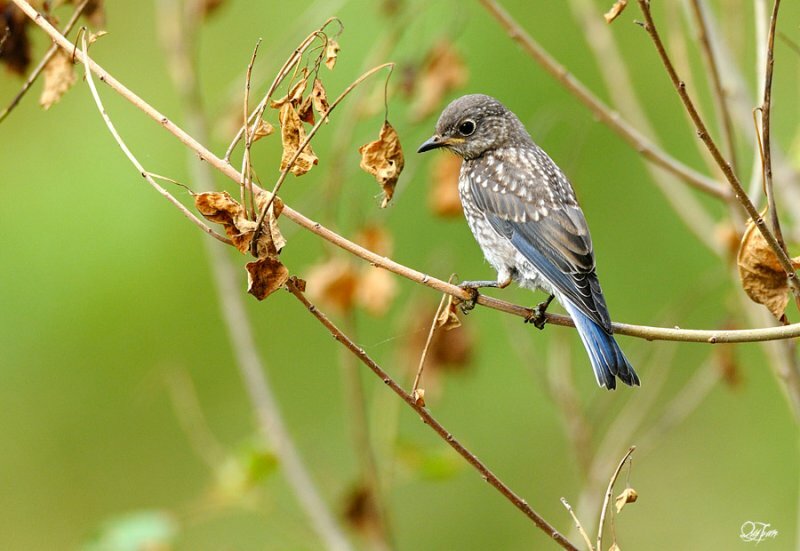 Thus, less experienced field birdwatchers sometimes overlook chats after mistaken their song for species such as Gray Catbirds and Brown Thrashers, which share similar habitat preferences and skulking habits, though are generally much more abundant. 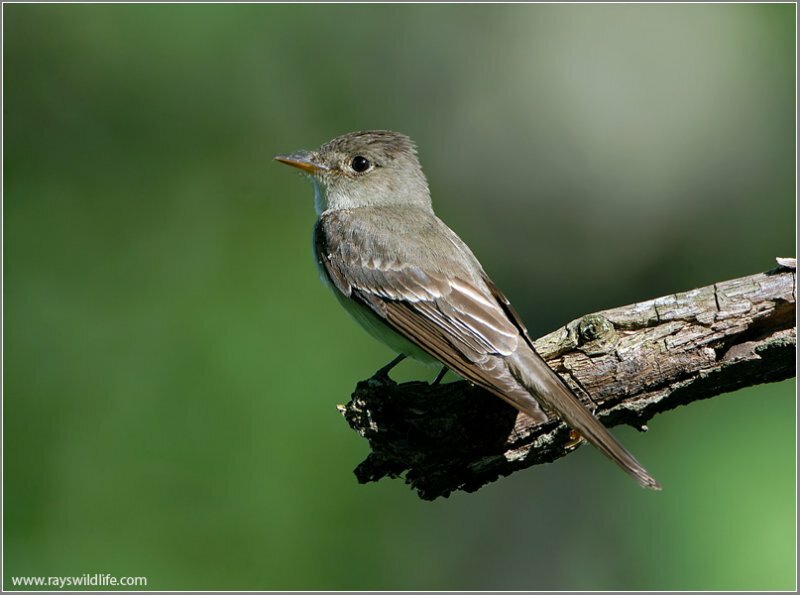 During the breeding season, Chats are at their most conspicuous as they will usually sing from exposed locations and even fly in the open while gurgling their songs. You can call me the Crow Blackbird, little folks, if you want to. People generally call me by that name. I look something like the Crow in the March number of Birds, don’t I? My dress is handsomer than his, though. 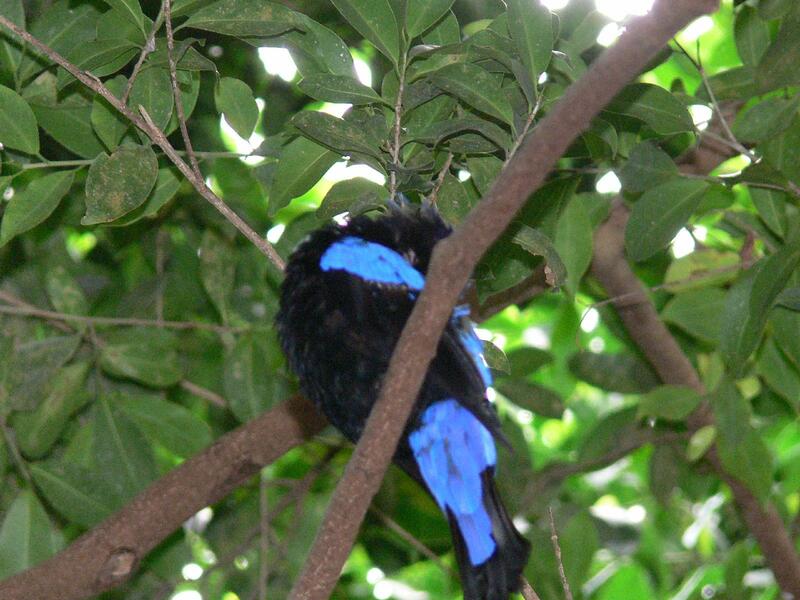 Indeed I am said to be a splendid looking bird, my bronze coat showing very finely in the trees. The Crow said Caw, Caw, Caw! to the little boys and girls. That was his way of talking. My voice is not so harsh as his. I have a note which some people think is quite sweet; then my throat gets rusty and I have some trouble in finishing my tune. I puff out my feathers, spread my wings and tail, then lifting myself on the perch force out the other notes of my song. Maybe you have seen a singer on the stage, instead of a perch, do the same thing. Had to get on his tip-toes to reach a high note, you know. Like the Crow I visit the cornfields, too. In the spring when the man with the plow turns over the rich earth, I follow after and pick up all the grubs and insects I can find. They would destroy the young corn if I didn’t eat them. Then, when the corn grows up, I, my sisters, and my cousins, and my aunts drop down into the field in great numbers. Such a picnic as we do have! The farmers don’t seem to like it, but certainly they ought to pay us for our work in the spring, don’t you think? Then I think worms as a steady diet are not good for anybody, not even a Crow, do you? We like nuts, too, and little crayfish which we find on the edges of ponds. No little boy among you can beat us in going a-nutting. We Grackles are a very sociable family, and like to visit about among our neighbors. Then we hold meetings and all of us try to talk at once. People say we are very noisy at such times, and complain a good deal. They ought to think of their own meetings. They do a great deal of talking at such times, too, and sometimes break up in a fight. How do I know? Well, a little bird told me so. 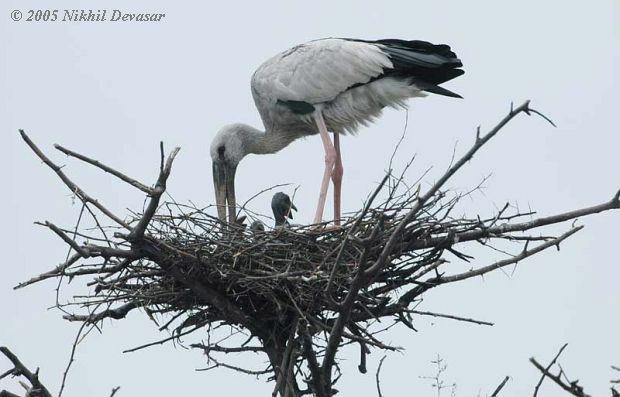 Yes, we build our nest as other birds do; ours is not a dainty affair; any sort of trash mixed with mud will do for the outside. The inside we line with fine dry grass. My mate does most of the work, while I do the talking. That is to let the Robin and other birds know I am at home, and they better not come around. If all on ’em don’t head against the wind. Y the more familiar name of Crow Blackbird this fine but unpopular bird is known, unpopular among the farmers for his depredations in their cornfields, though the good he does in ridding the soil, even at the harvest season, of noxious insects and grubs should be set down to his credit. The Bronzed Grackle or Western Crow Blackbird, is a common species everywhere in its range, from the Alleghenies and New England north to Hudson Bay, and west to the Rocky Mountains. It begins nesting in favorable seasons as early as the middle of March, and by the latter part of April many of the nests are finished. 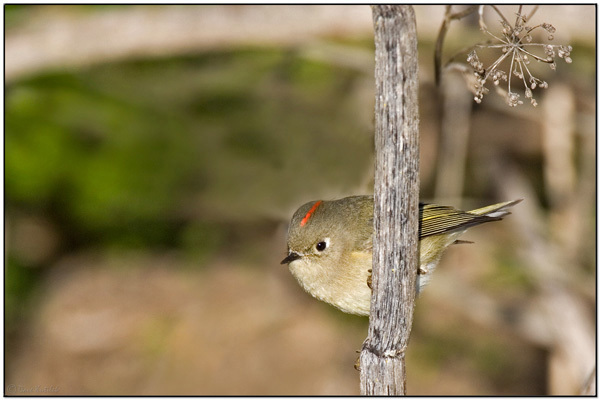 It nests anywhere in trees or bushes or boughs, or in hollow limbs or stumps at any height. 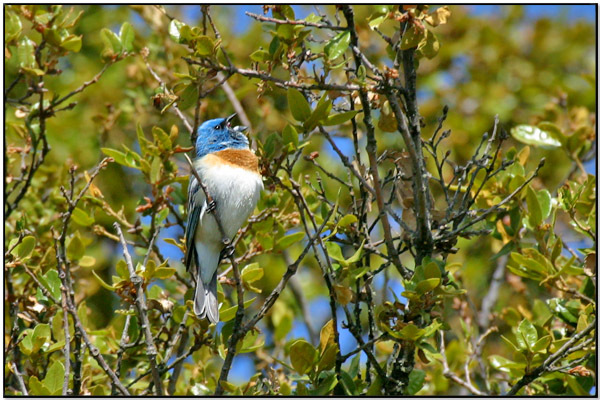 A clump of evergreen trees in a lonely spot is a favorite site, in sycamore groves along streams, and in oak woodlands. 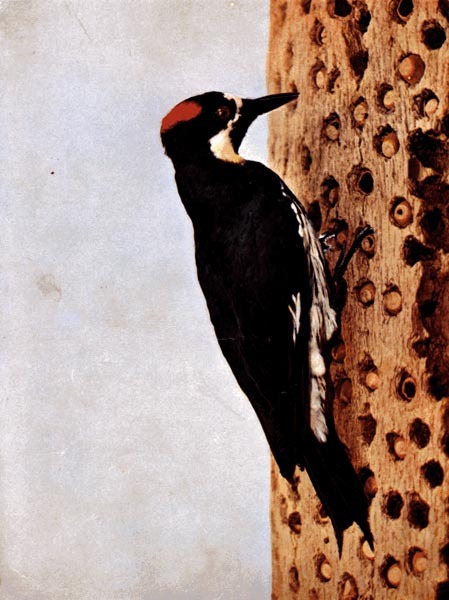 It is by no means unusual to see in the same tree several nests, some saddled on horizontal branches, others built in large forks, and others again in holes, either natural or those made by the Flicker. 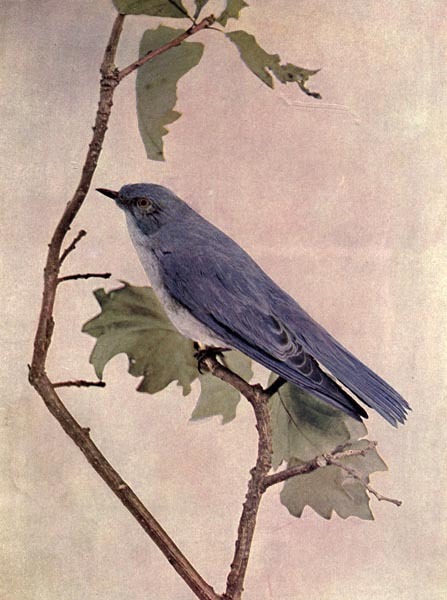 A long list of nesting sites might be given, including Martin-houses, the sides of Fish Hawk’s nests, and in church spires, where the Blackbirds’ “clatterin’” is drowned by the tolling bell. 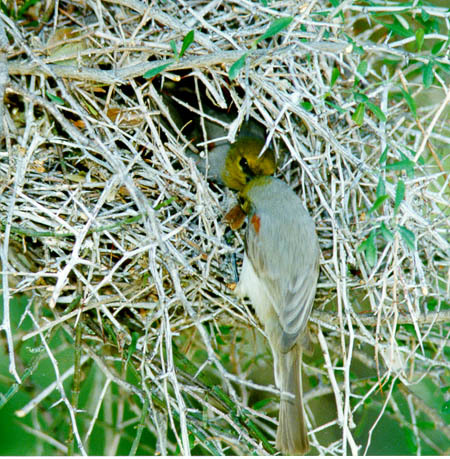 The nest is a coarse, bulky affair, composed of grasses, knotty roots mixed with mud, and lined with fine dry grass, horse hair, or sheep’s wool. 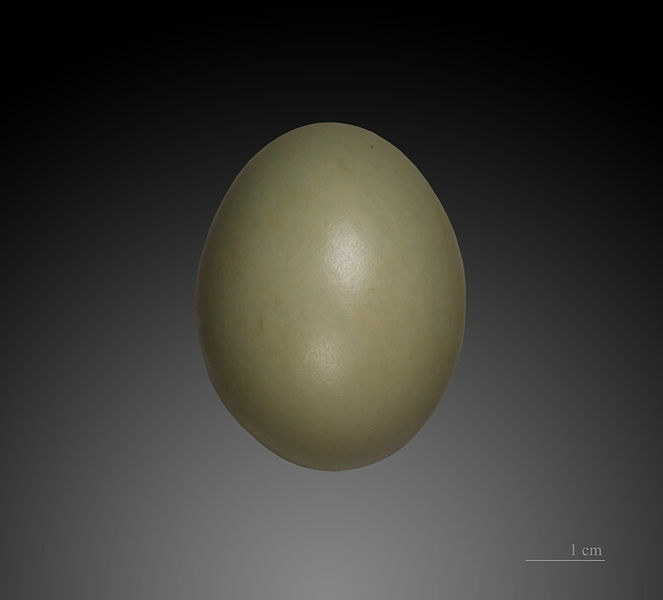 The eggs are light greenish or smoky blue, with irregular lines, dots and blotches distributed over the surface. 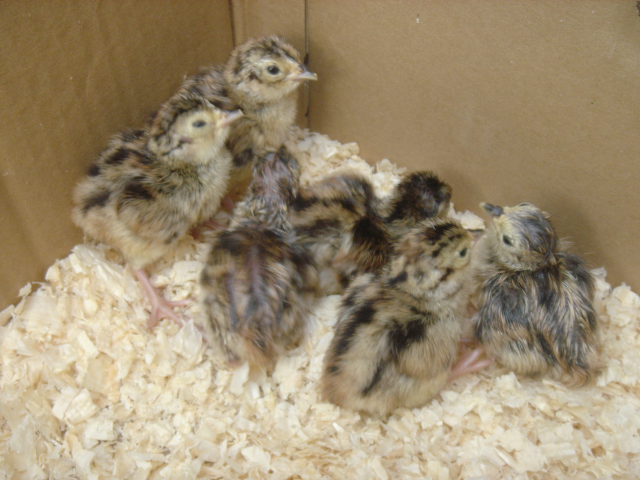 The eggs average four to six, though nests have been found containing seven. The Bronze Grackle is a bird of many accomplishments. He does not hop like the ordinary bird, but imitates the Crow in his stately walk, says one who has watched him with interest. He can pick beech nuts, catch cray fish without getting nipped, and fish for minnows alongside of any ten-year-old. While he is flying straight ahead you do not notice anything unusual, but as soon as he turns or wants to alight you see his tail change from the horizontal to the vertical—into a rudder. Hence he is called keel-tailed. 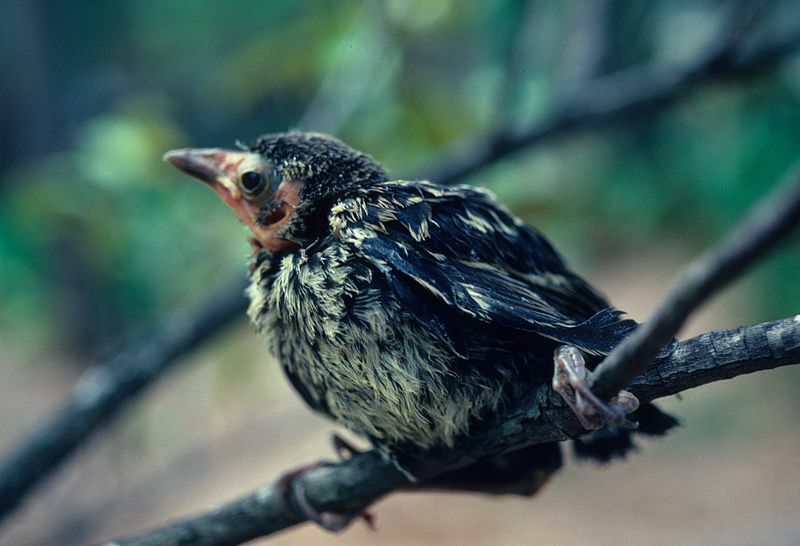 The Grackle is as omnivorous as the Crow or Blue Jay, without their sense of humor, and whenever opportunity offers will attack and eat smaller birds, especially the defenseless young. His own meet with the like fate, a fox squirrel having been seen to emerge from a hole in a large dead tree with a young Blackbird in its mouth. The Squirrel was attacked by a number of Blackbirds, who were greatly excited, but it paid no attention to their demonstrations and scampered off into the wood with his prey. Of their quarrels with Robins and other birds much might be written. Those who wish to investigate their remarkable habits will do well to read the acute and elaborate observations of Mr. Lyndes Jones, in a recent Bulletin of Oberlin College. He has studied for several seasons the remarkable Bronze Grackle roost on the college campus at that place, where thousands of these birds congregate from year to year, and, though more or less offensive to some of the inhabitants, add considerably to the attractiveness of the university town. 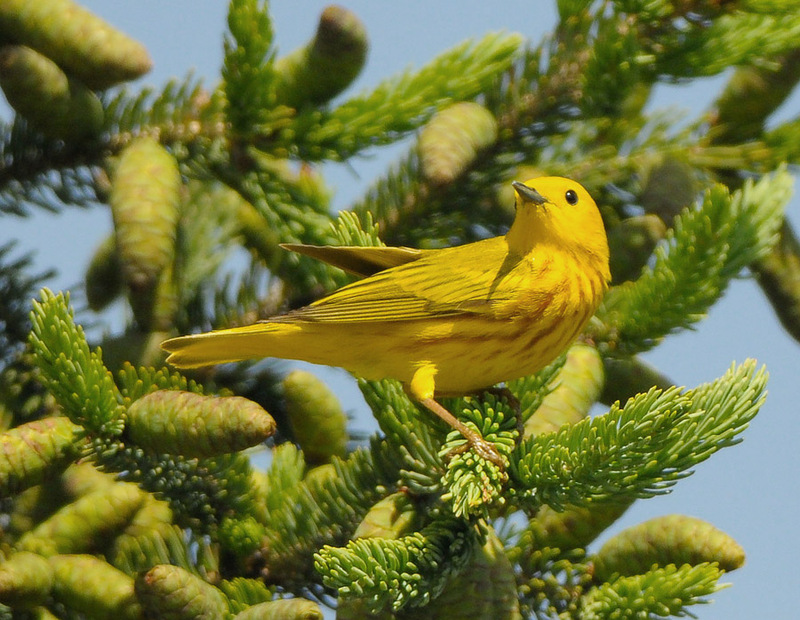 The breeding habitat is open and semi-open areas across North America east of the Rocky Mountains. 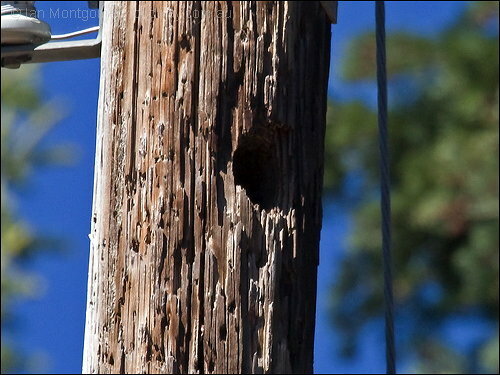 The nest is a well-concealed cup in dense trees (particularly pine) or shrubs, usually near water; sometimes, the Common Grackle will nest in cavities or in man-made structures. It often nests in colonies, some being quite large. 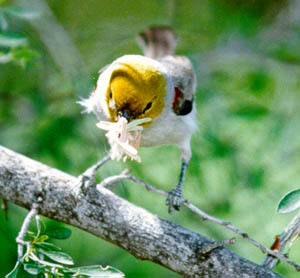 Bird houses are also a suitable nesting site. There are 4-7 eggs. Range—Eastern North America from the Alleghenies and New England north to Hudson Bay, west to the Rocky Mountains. Nest—In sycamore trees and oak woodlands a coarse bulky structure of grasses, knotty roots, mixed with mud, lined with horse hair or wool. Eggs—Four to six, of a light greenish or smoky-blue, with lines, dots, blotches and scrawls on the surface. 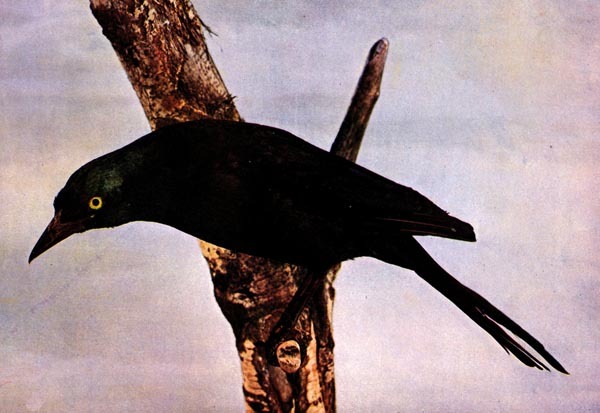 The “Bronzed Grackle” is actually a subspecies of the Common Grackle. They are in the Icteridae – Oropendolas, Orioles & Blackbirds Family which has 108 members (IOC 3.4). In that family, there are 11 different Grackles. What a beautiful creation from the Lord. When this bird is out in the sun, it just shines. 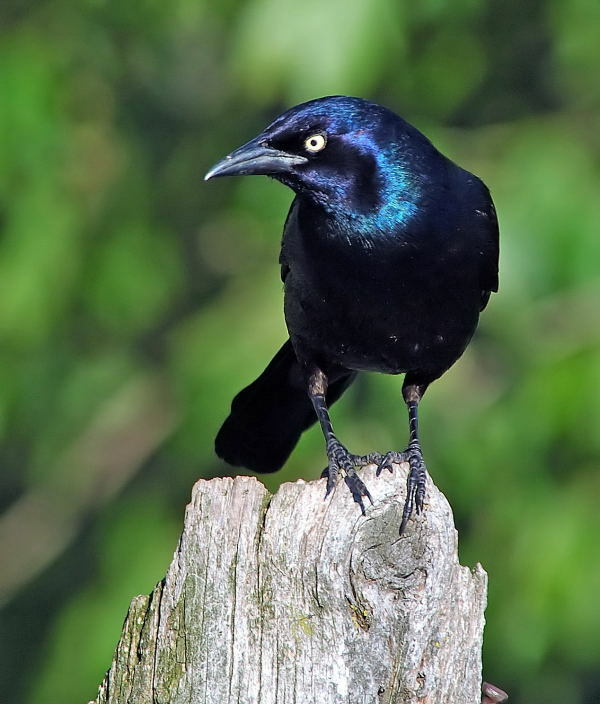 Adult Common Grackles measure from 28 to 34 cm (11 to 13 in) in length, span 14–18 in (36–46 cm) across the wings and weigh 74–142 g (2.6–5.0 oz). 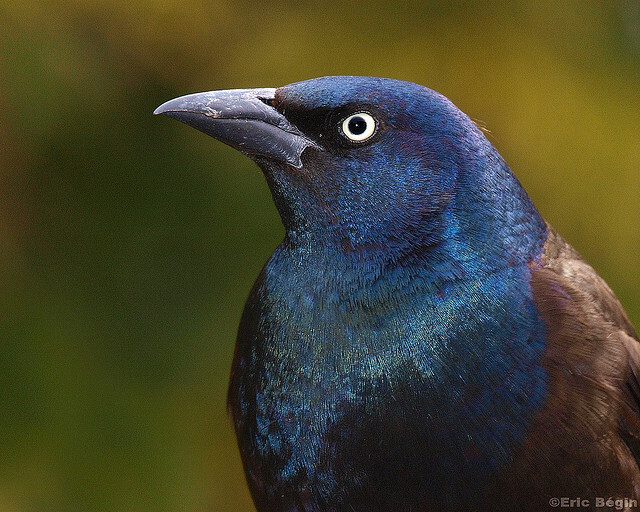 Common grackles are less sexually dimorphic than larger grackle species but the differences between the sexes can still be noticeable. The male, which averages 4.3 oz (122 g), is larger than the female, at an average of 3.3 oz (94 g). 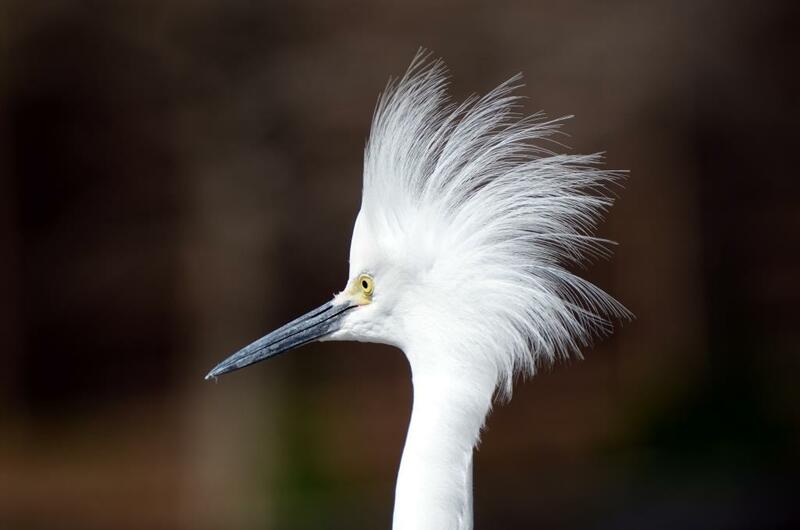 Adults have a long, dark bill, pale yellowish eyes and a long tail; its feathers appear black with purple, green or blue iridescence on the head, and primarily bronze sheen in the body plumage. 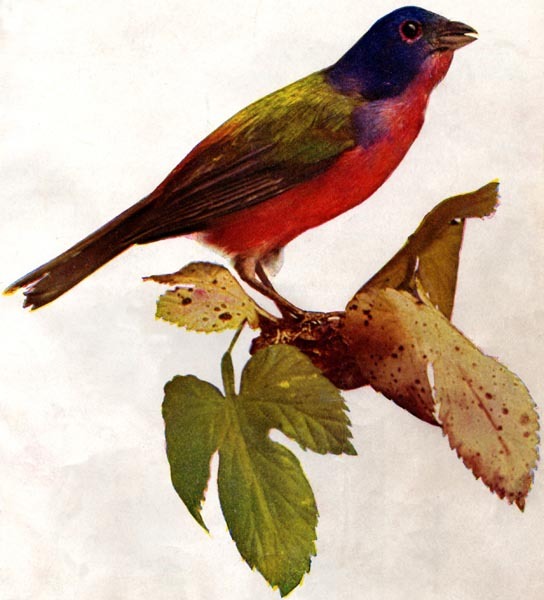 The adult female, beyond being smaller, is usually less iridescent; her tail in particular is shorter, and unlike the males, does not keel in flight and is brown with no purple or blue gloss. 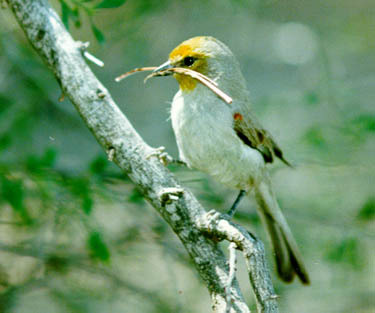 The juvenile is brown with dark brown eyes. 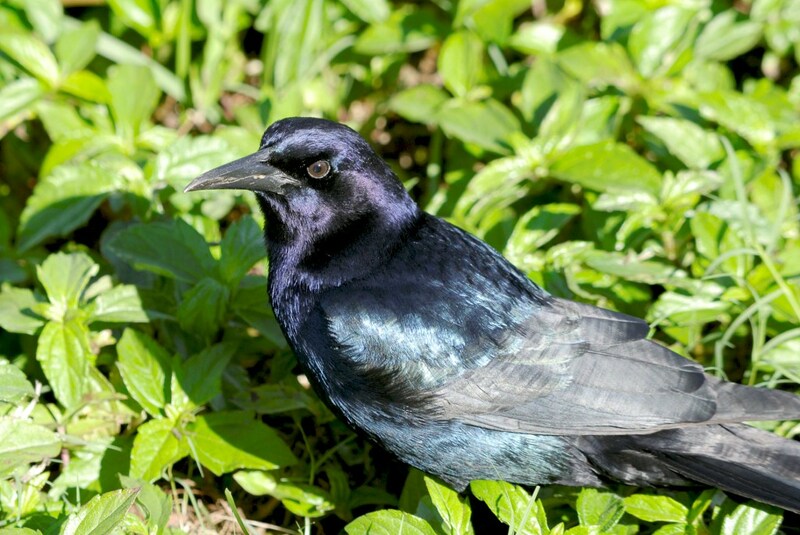 The common grackle forages on the ground, in shallow water or in shrubs; it will steal food from other birds. 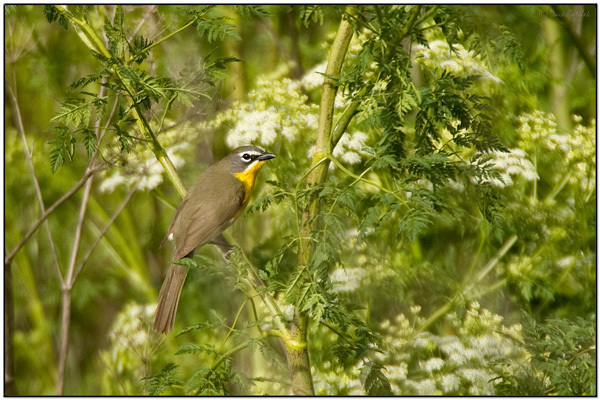 It is omnivorous, eating insects, minnows, frogs, eggs, berries, seeds, grain and even small birds and mice. Grackles at outdoor eating areas often wait eagerly until someone drops some food. 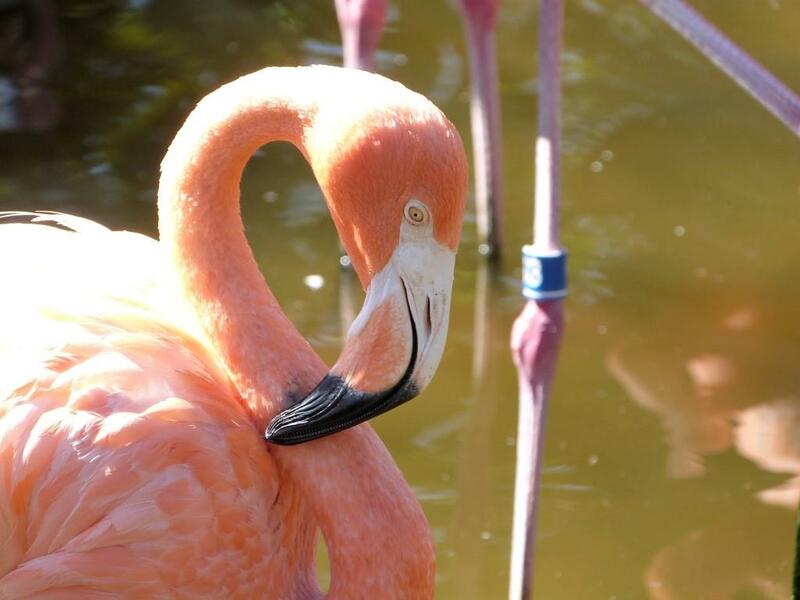 They will rush forward and try to grab it, often snatching food out of the beak of another bird. 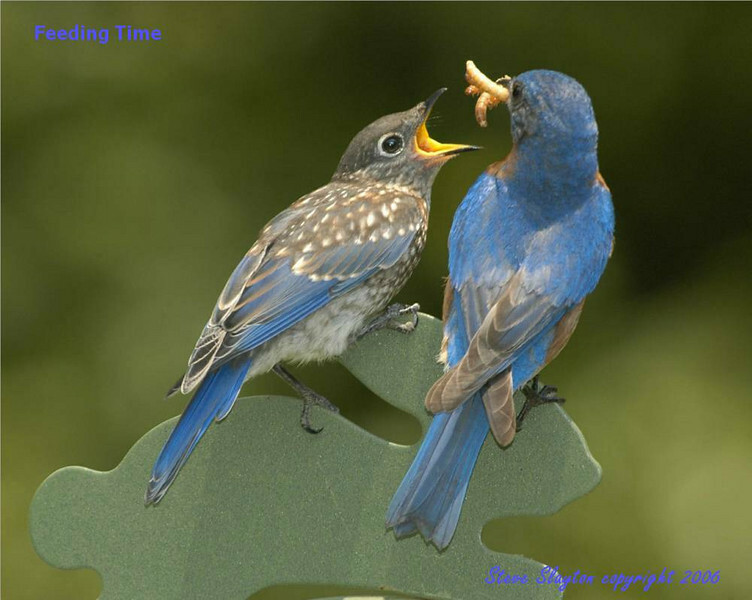 Grackles prefer to eat from the ground at birdfeeders, making scattered seed an excellent choice of food for them. In shopping centers, grackles can be regularly seen foraging for bugs, especially after a lawn trimming. 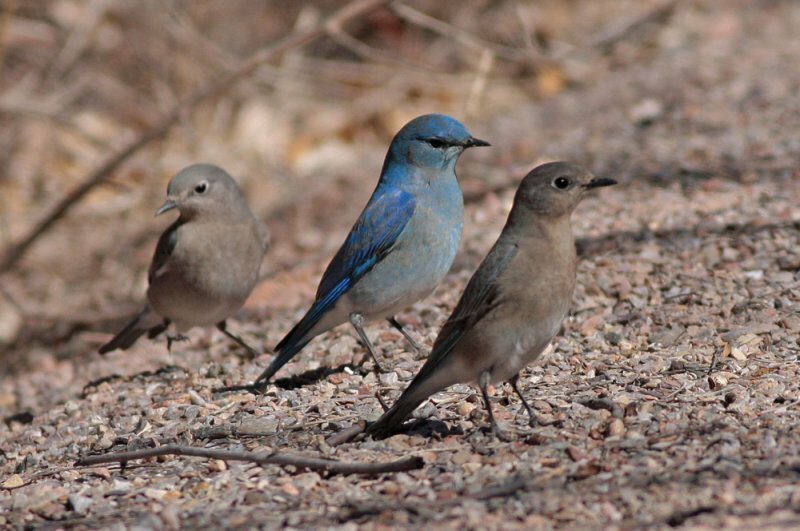 This bird’s song is particularly harsh, especially when these birds, in a flock, are calling. 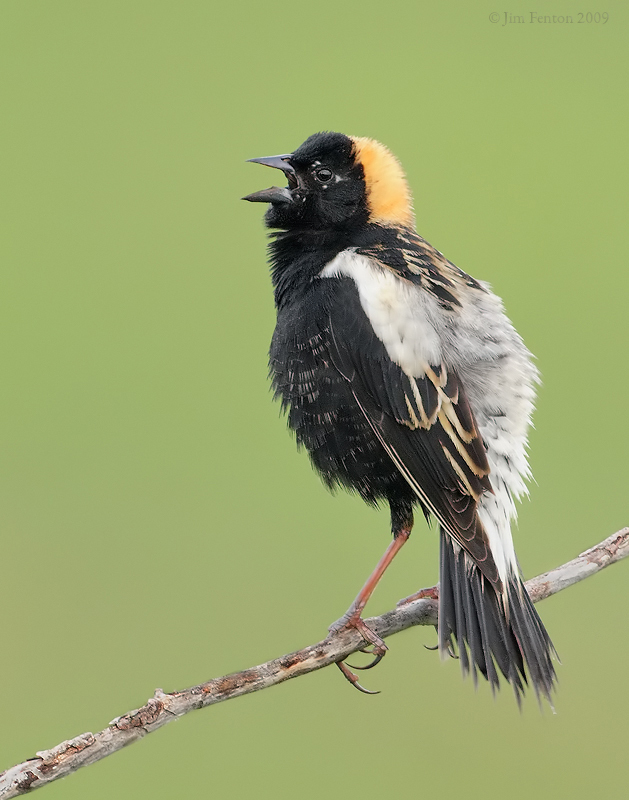 Songs vary from, year round “Chewink Chewink” to a more complex breeding season “Ooo whew,whew,whew,whew,whew” call that gets faster and faster and ends with a loud “Crewhewwhew!” It also occasionally sounds like a power line buzzing. The grackle can also mimic the sounds of other birds or even humans, though not as precisely as the mockingbird, which is known to share its habitat in the Southeastern United States.